Finally, I decided to try Wash & Go even if I had no idea how to use coin operated washing machines and dryers. Took the chance and here is what I discovered and learned. always had a pile of clothes that needed washing. It feels like it is always following me around. I would take a day off to wash a pile because I know my energy would be spent. But most times, it feels easier to put a big cloth over it so it can stay hidden. 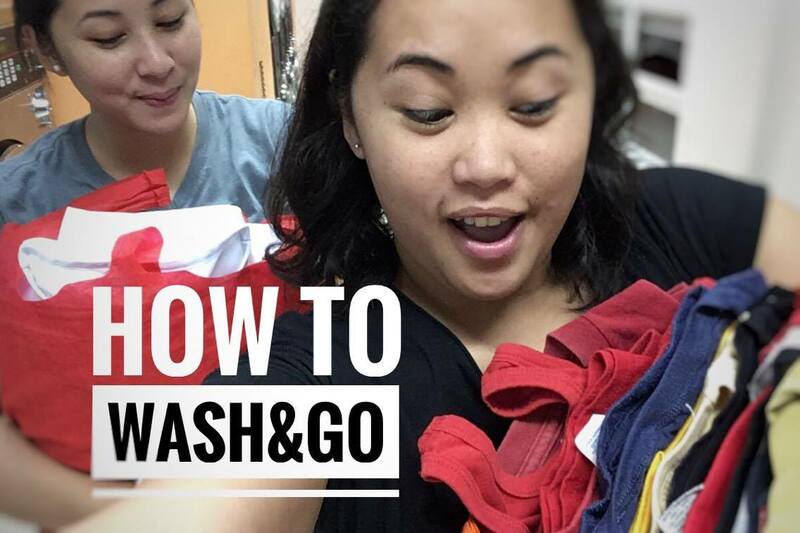 When Wash & Go opened as the first Laundromat in Cagayan de Oro, so few knew how it was supposed to work. I was one of them. Yes, I mean that I NOW know how to use coin operated washing machines and dryers. My sister, Pao, went to Wash & Go one Sunday. And, I decided to go with her to learn how to Wash & Go in my search to finally find a fast solution to my problem with piling dirty clothes. Get an idea on how to use their machines by watching the video below. I can definitely say this is not only for locals. This is very handy if you are staying in Cagayan de Oro for a few days and you want to have your clothes washed quickly as well. Wash & Go is opens at 7:00am and closes at 8:00pm. For other information, attendants are very helpful in assisting and answering any questions you may have. As for me, I loved how fast I was able to clean my clothes. I am definitely going back. Catch you on my next MUNCHTRIP. Bye bye my fellow munchters! Hey, I am Shoni. Let's discover food and travel the world together.